The MGA program provided Theresa with the academic and professional training to build upon, and eventually pivot away, from her previous career in political journalism. 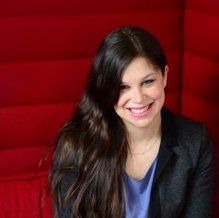 She focused on political economy and global capital markets during her studies. This gave her the opportunity to travel to Japan to discuss Canada-Japan economic relations and (what was then) the Trans-Pacific Partnership with policymakers, as well as develop a policy paper on improving corporate social responsibility in investment treaties through an investment trade policy internship at Global Affairs Canada. In her current role at RBC, Theresa is a trusted advisor and partner to senior management and executives, supporting strategy development, operating model design, and the design of transformational programs across the bank. During the MGA program Tannuva focused on global security and counter terrorism issues, with a particular focus on anti-money laundering and countering terrorist financing. 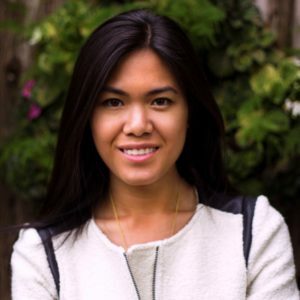 She interned with the Egmont Group of Financial Intelligence Unit and after graduation, she started to work as an Investigative analyst with Manulife Financial in their AMLATF business unit and subsequently in the compliance unit. 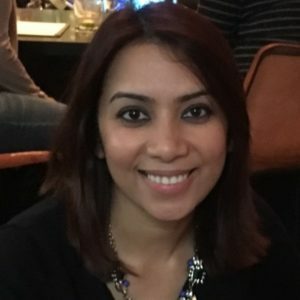 In her current role with the Government of Ontario, Tannuva works with both the Federal and Provincial agencies and collaborate with a team of analysts that provides strategic advice on various national security matters including counter terrorism, violent extremism and financial intelligence. 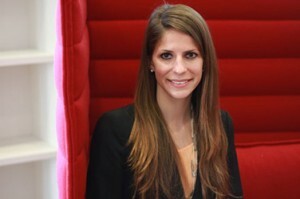 During her time in the MGA, Alessandra honed her interests in innovation policy and international security. 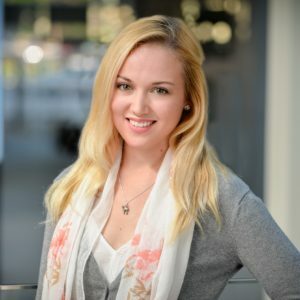 She had the opportunity to intern in Washington DC at the Woodrow Wilson Center’s Canada Institute, had a fellowship to research global IP practices, a capstone project on the counter-financing of terrorism, and the chance to travel to Israel with her innovation policy class to present their project work to clients. After graduation, Alessandra was able to find the career opportunity that merged her interests and joined Avascent, an analytics and strategy firm that serves highly regulated sectors including defense, aerospace, public safety, cyber and healthcare among others. After working at their head office in Washington DC, she returned to Canada this year as part of a team launching their Ottawa office. Mikayla works in the Office of the Chief Medical Officer of Health and leads public health related to the fentanyl crisis and opioid abuse. During the MGA program Mikayla focused on issues of underdevelopment and human rights abuses in post-conflict countries, with a particular focus on migration and global health. After graduation she consulted for the Canadian Government and worked for the International Organization of Migration in Togo. Penelope is a Strategic Analyst at the Privy Council Office’s (PCO) Intelligence Assessment Secretariat, which provides original and policy-neutral assessments of global trends and events to senior clients in PCO and across government, including the Clerk of the Privy Council and the National Security Advisor. Prior to joining PCO in 2016, Penelope held several policy roles across the Government of Canada, including Indigenous and Northern Affairs Canada, the Department of National Defence and, most recently, Global Affairs Canada. 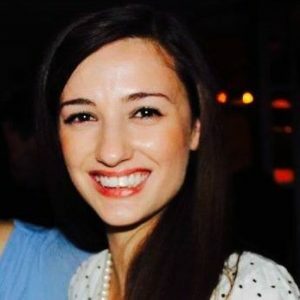 After graduating from the MGA in 2014, Penelope also worked as the Research Manager of the Munk School’s Digital Square Project, where she led research efforts on how to utilize new and emerging technologies to increase free expression, open political dialogue and civic engagement in digital space. 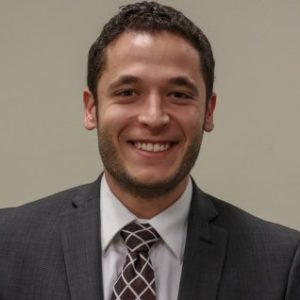 During his program, Zac focused on building the skills to complement his undergraduate degree in International Development and Environmental, Sustainability and Society. He challenged himself by focusing on new competencies, particularly the financial and global capital markets themes of the MGA. Zac’s internship took him to the UK where he found himself at the cutting edge of countering violent extremism and counter terrorism, further enhancing his preparation for life after the MGA. 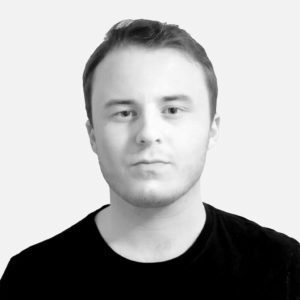 Currently Zac co-runs a leading emerging and disruptive technology R&D start-up where his focus is on the strategy & policy/governance impacts of blockchain and new tech growth. Prior to joining CPJ in 2014, Kerry Paterson worked with the Initiative for Conflict-Related Trauma in Northern Ireland, where she consulted on a project to develop a mobile platform to deliver mental health services for trauma and PTSD to people in war zones and refugee camps. She has worked with Médecins Sans Frontières, the Women’s Media Center’s Women Under Siege, Ujenzi Trust, the Lupina Foundation, Harvard University, Massachusetts General Hospital’s Division of Global Health and Human Rights, and the Rotman School of Management, working with Professor Anita McGahan on an array of global health issues. Paterson has spent time in over 30 countries, and engaged in health and human rights-related work and research in Latin America, East and Central Africa, and the Balkans. 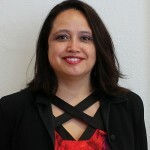 Paterson was an associate editor of the Journal for International Law and International Relations, and worked closely with MGA Director, Professor Ron Levi at the Global Justice Lab to examine the manipulation of law by perpetrators of violence against women. Nir currently oversees and guides the transformation of BBA’s global service center network to enhance operational efficiency, increase market competitiveness, and deliver customer value. This requires advising senior leadership on strategic business decisions such as international expansions, and managing initiative teams to accomplish high-impact, step-change projects. 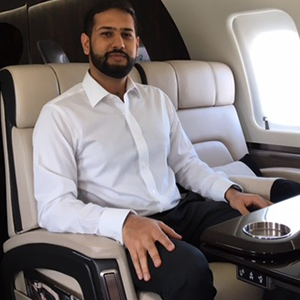 Previously, Nir worked as an analyst in Strategy & Business Development teams at Bombardier Aerospace, focusing on South and South-East Asian regional strategies. 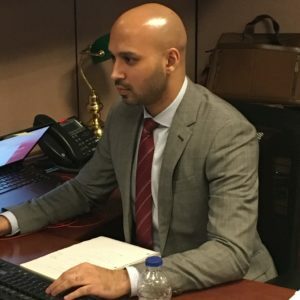 He first joined the company as an intern from the MGA program where his focus was on Political Economy, Capital Markets, and the dynamics the Indian economy. Over the course of the MGA, Atul was able to customize the school’s courses and extra-curricular options to focus on issues relating to global security, political risk analysis, and risk governance more generally. During his internship as a Threat Intelligence analyst with Scotiabank in Toronto, he evaluated the bank’s international exposure to political and reputational risks. Atul was also a founding member of the Global Risk Observatory at the Munk School of Global Affairs. Atul’s current role at Scotiabank’s Global Risk Management (GRM) division encompasses multiple projects/deliverables, which range from helping enhance the risk insights and analysis produced by GRM, supporting the credit officers in adapting and enhancing industry risk reports, and building the bank’s strategy and capacity to deal with climate change related trends in the financial space. 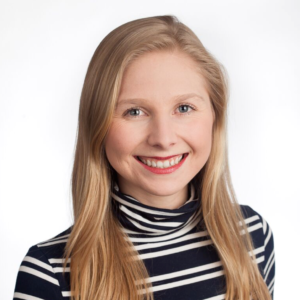 Janelle has a keen interest in international law, international relations, and global civil society and tailored the MGA program to match these interests while expanding her knowledge in other areas such as financial management and innovation. In 2016, Janelle had the opportunity to work as a Junior Policy Officer at the Canadian Permanent Mission to the United Nations (Geneva). She was part of the team that successfully supported the adoption of the resolution on the elimination of violence against women and girls, including indigenous women and girls, at the 32nd session of the Human Rights Council. 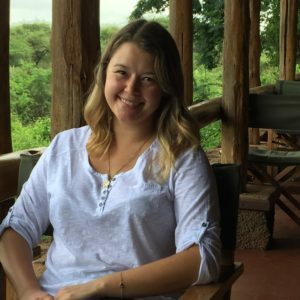 Janelle is currently working in Nairobi as a Special Projects Officer in sustainability and corporate social responsibility for Serena Hotels, as part of the Aga Khan Foundation Canada’s International Youth Fellowship Program. 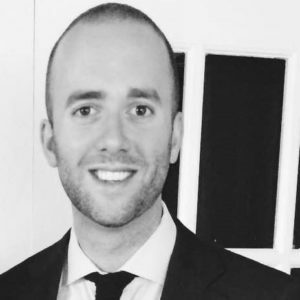 As AVP Public Finance at DBRS Limited, a Toronto-based global credit rating agency, Scott leads the firm’s credit and economic analysis on Canadian municipal governments, public universities and hospitals that borrow in debt capital markets. His role includes liaising with investors and media to provide sector insights beyond the rating, and to promote understanding of DBRS’s approach to credit risk. Scott also supports the firm’s portfolio of provincial governments and public sector entities, including the Government of Canada. Scott’s work in the MGA program focused on the intersection of the state and capital markets, and specifically, the politics of global finance and crisis management. He completed an internship in Bangkok on the commercial team at the Embassy of Canada to Thailand, Cambodia, Lao PDR and Burma, where he advised on trade and investment issues and authored a report for Trade Commissioner Service clients on entering the rapidly evolving Burmese market. During the MGA program Jon focused on issues of energy security, with a particular focus on the role renewable energies can play in emerging markets. 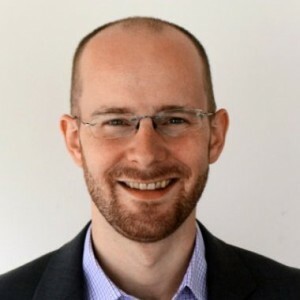 Jon currently works as Project Coordinator for JCM Power (JCM), a Canadian independent power producer focused on the development, construction and operation of clean energy projects in Latin America, Sub-Saharan Africa and Asia. Jon manages the day-to-day of JCM’s projects in the Latin American region, coordinating the Canadian team and local partners. His role includes engaging and coordinating work streams with suppliers and partners, managing project budgets, and supporting senior project developers with all aspects of project development. As a Senior Analyst at Sonecon, Rob is working to minimize the societal, economic and national security impacts of catastrophic critical infrastructure outages. His team advises policymakers and industry leaders on how to build resilience against severe natural and manmade hazards, and navigate cross-sector interdependencies in sustaining and restoring critical services. 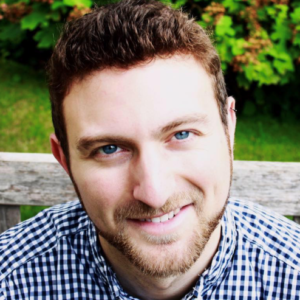 Prior to joining Sonecon, Rob worked for M Powered Strategies as a management consultant in the federal IT space, and had previously tracked the actions of anti-government extremist elements and security forces in Afghanistan using open-source intelligence as an intern at the Institute for the Study of War. During his time as an MGA student, Rob focused on security and defense issues, with an emphasis on cybersecurity and counterterrorism. For his internship, he worked on the National Consortium for the Study of Terrorism and Responses to Terrorism’s Global Terrorism Database (GTD). Vanessa is undertaking a PhD in political science, focused on informal institutions and taxation in weak low-income states. She has worked with the International Centre for Tax and Development, the World Bank, and the Danish Refugee Council and has conducted extensive field research in Sierra Leone, the Democratic Republic of the Congo, Ghana, South Sudan, and Sudan. In the MGA program Dana specialized in global governance with a focus on international migration policy. 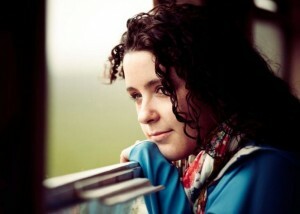 After graduation she began work with the International Organization for Migration (IOM) in Hanoi. 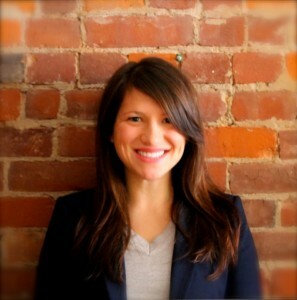 She next worked with the Maytree Foundation and Ryerson University’s Global Diversity Exchange. 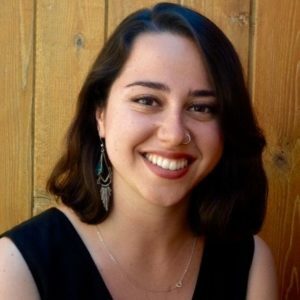 During her MGA, Ariana specialized in global civil society, with a focus on environmental studies, examining the role of environmental policy in relation to conflict/security and poverty in developing economies. For her MGA internship, Ariana managed a field research project on the Galapagos Islands of Ecuador, which looked at the public health implications of the islands’ conservation policies. She is currently a Research Associate at the Busara Center for Behavioral Economics, based in Nairobi, Kenya. The Busara Center provides consulting and research services in behavioural economics and impact evaluation to improve program, policy and product design. In this role Ariana is responsible for project acquisition, client and budget management, study design, and data collection and analysis, for both field and lab-based studies. 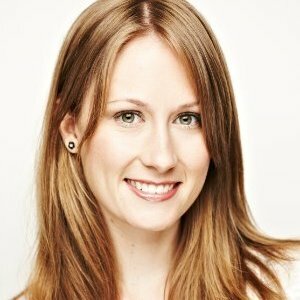 Samantha is currently working as a consultant to the International Trade Centre, the joint agency of the UN and WTO, based in Geneva, Switzerland. Her work focuses on assisting small and medium-sized enterprises in developing countries to access global markets, with most of her projects focusing on voluntary sustainability standards. She helped develop an online platform that allows for knowledge-sharing within the sustainable agriculture and trade communities, trains on market analysis tools, and works with publications and communications on developing sustainable supply chains. 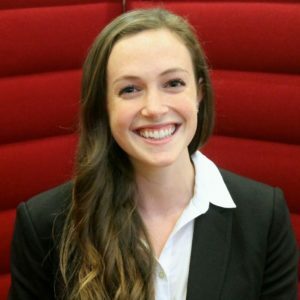 Samantha specialized in Global Economy and Markets during her time as an MGA student, and particularly enjoyed the training on strategic thinking, professional development, and emphasis on the internship experience that the Munk School provided. As a Manager in Third Sector’s San Francisco office, John serves as project lead for several strategic advisory, feasibility assessment, and project construction engagements. John previously worked at the World Bank developing an initiative to finance basic social service providers and financial intermediaries in developing countries. He also provided guidance on the design of outcomes-based financing projects for health systems strengthening. Before the World Bank, John was an investment advisor to VEGA/Biz+, a USAID-funded program that finances business ventures in conflict-affected areas of Sri Lanka. He identified and structured investment partnerships, and conducted financial due diligence on companies, resulting in over US$4 million SME in investment partnerships. Previous experience also includes performance evaluation of health services organizations while at St. Michael’s Hospital and tracking illicit financial flows at the think tank Global Financial Integrity. Justice currently works for Convergence, a non-profit organization that connects, educates, and supports investors to execute blended finance transactions that increase private sector investment in emerging markets. As Knowledge Associate, Justice focuses on documenting case studies and research on blended finance transactions, coordinating workshops and webinars, and building Convergence’s blended finance database. Prior to joining Convergence, she worked at the MasterCard Foundation as Program Coordinator for the Financial Inclusion team. During her time in the MGA program, Justice developed a variety of private sector development research and policy experience, including her work with the G20 Research Group; major research project on Financial Inclusion and the Role of Government; internship at Scotiabank’s Government Communications, Policy and Research department; and capstone project with the World Wildlife Fund on REDD+ finance. During Michele’s time in the MGA program, Michele honed her strategic aptitude through a diverse set of courses focusing on global capital markets, migration policy, and innovation. Not only was she able to travel to Geneva for her internship at the International Organization for Migration, she also had the opportunity to spend time working within the Office of the CEO at the Royal Bank of Canada as part of the RBC Externship program. After graduating, Michele applied the depth of learning from the MGA as an Innovation Analyst at Idea Couture, a global strategic innovation and experience design firm. In this role, she worked with private sector and non-profit clients from across industries, using design thinking methodologies to transform their organizations, unlock new growth opportunities, and innovate in increasingly complex and uncertain environments. 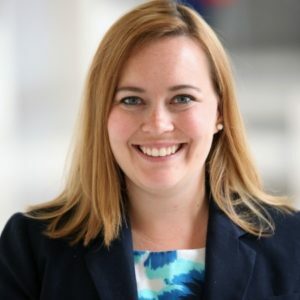 In her current role, she manages strategy and communications for RBC’s innovation lab in Toronto. 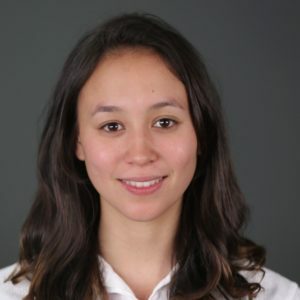 During the MGA program, Vanessa’s primary interests rested in global security, economics and finance, with a particular focus on the Asia-Pacific region. For her capstone project, she worked for the City of Toronto where her team identified opportunities for trade between the City and Latin American countries in sectors such as Energy, F&B and Pharmaceuticals. Building on her interest in the markets, she embarked on an internship in Tokyo as an equity research summer analyst where she worked for Bank of America Merrill Lynch. She was later hired full time as an analyst in the Singapore office. Victoria focused on the intersections of human security, business and media, particularly in the Middle East, which culminated in presentations on issues such as feminism in Saudi Arabia, surveillance in the UAE and the American military presence in the Gulf. She interned with the NATO Association of Canada, serving as Editor of the “Women in Security” program. Through this internship she gained valuable skills in multi-media communication and strategy, which led her to work at MaRS Discovery District upon graduation. In the new year, she joined GATE where she manages the Institute’s communication strategy, as well as assists the Director and Postdoctoral fellows in their research on issues pertaining to gender. She has also recently started her own digital storytelling business, Planetary Nomad, to leverage her creative and academic abilities. During the MGA program, Graeme’s research interests focused on the intersection of informal sector economies, urbanization, and governance in developing countries. 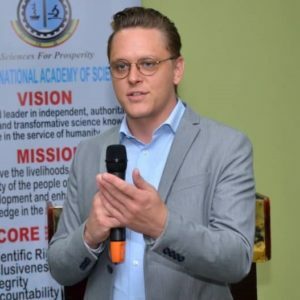 For his internship, Graeme managed a research project with the Uganda National Academy of Sciences that examined the challenges and opportunities for urban governance in Kampala. Following graduation, Graeme returned to Uganda in the capacity of Research & Development Officer with UNAS. In this role Graeme is responsible for organizing the 2018 International Conference on Urban Health, and for managing a series of studies on topics including education systems in eastern Africa, rural-urban linkages in sub-Saharan Africa, and domestic resource mobilization for development in Uganda. 99% of those looking for work have jobs. 5% of our alumni are currently in full-time education. 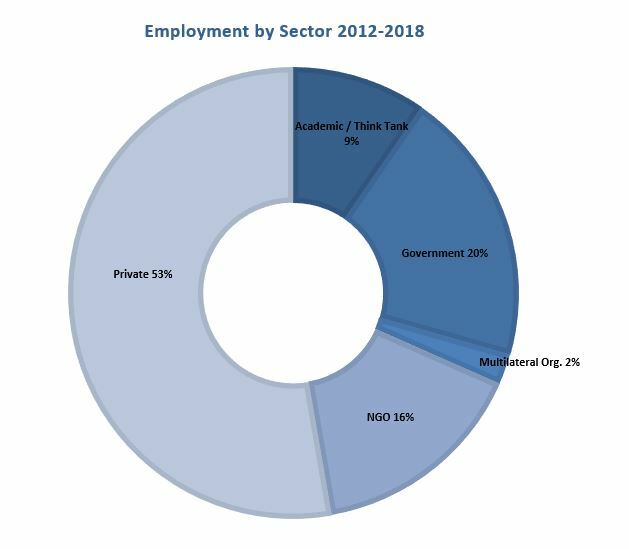 These percentages are based on alumni data for the MGA classes of 2012 – 2018 who are seeking full-time employment. We do not have data on 3% of our alumni. Are you an MGA Graduate? The Munk School offers dedicated alumni benefits to MGA graduates, ranging from career development services ( job postings, career advising sessions, Devex membership) to professional development workshops (Excel, Tableau) and free tickets to special events (Munk Debates, Gelber Gala). Want to know more? Please contact the Alumni Relations Office. 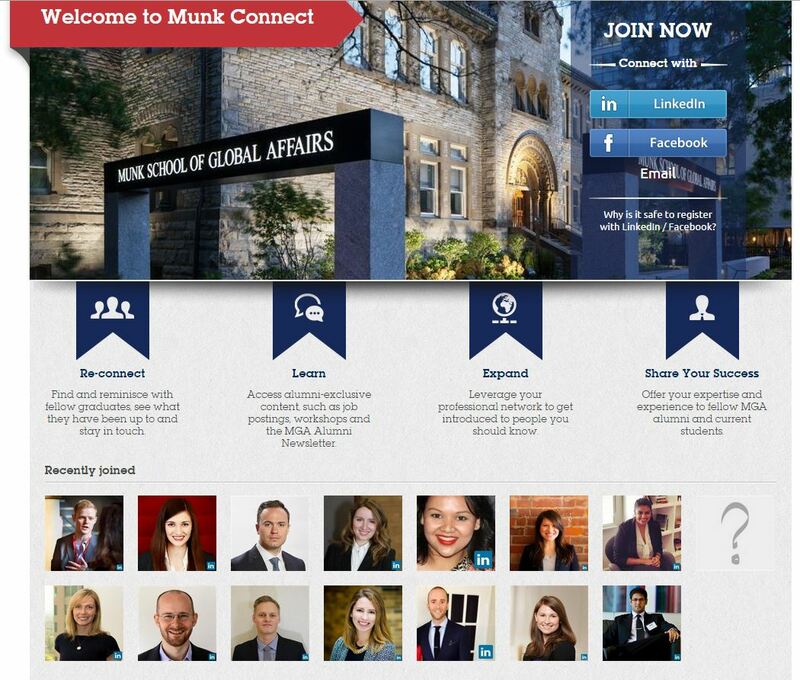 And check out Munk Connect, our new dedicated alumni platform! Our new dedicated alumni engagement platform. There are MGA alumni chapters in Ottawa, New York, Washington DC and San Francisco.